We're thrilled to have this new game here on Easy Slots, learn more. The Vikings from Vikings Go Wild are back and they’re even wilder than before! The sequel from Yggdrasil Gaming sees the Scandinavian scavengers return to the slots as they embark upon the sea for another epic journey. Once again, the game is about defeating Sirens - the mythical sea creatures tormenting the Vikings and trying to prevent you from winning coins. Describing themselves as “an established underdog among giants,” Yggdrasil Gaming are one of the most critically-acclaimed and respected suppliers in the online slots and online casino industry. We have a whole range of their casino slot games. 2017 has been an outstanding year for Yggdrasil as they were named Innovator of the Year at the International Gaming Awards as well as being named Slots Provider of the Year for the second year in a row at the EGR B2B Awards. Since receiving their first licence in 2013, the suppliers have produced titles such as Bicicleta, the dynamic game where your football skills are put to the test, and the colourful Legend of the Golden Monkey. The slot has 5 reels, 4 rows and 25 paylines. Below the reels, the Vikings are stood with their individual ‘Rage Meters.’ It’s up to you to fill the Vikings with rage in order to activate Free Spins mode. Once Free Spins is activated, the Sirens become sea monsters. All Wilds also become sticky at this point and it’s up to the Vikings that land on the reel to battle the creatures. If the Vikings win, they’ll become Wild icons too. If you manage to get your Vikings to reach Berzerk Mode, then they’ll become much stronger and will always defeat the Sirens and become Wild icons. The game comes complete with two functions to compliment your gaming experience. MaxBet allows you to stake up to the maximum allowed amount with the click of a button, while Autoplay lets you play up to 1000 spins automatically. As well as these functions, the game also boasts a number of bonus features including: Ragnarok Free Spins, Starting Wild, Starting Wild Reel or an additional 5 Treasure Chests and 5 Golden Treasure Chests being added to the reels. Golden Treasure Chest which delivers Coin Win between 250-10,000 or 7-21 free spins. 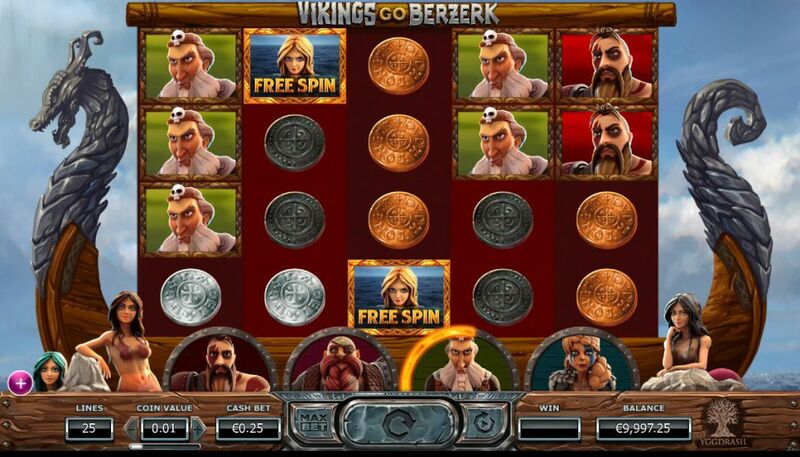 This can also cause Rage Boost – which adds 25% rage to each Viking – or it can deliver Ragnorak Free Spins. More casino bonuses are waiting, discover how to deposit by mobile slots now. 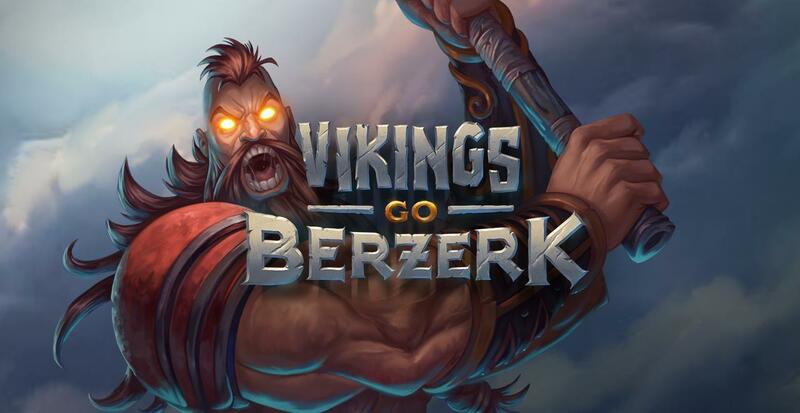 As an exciting, enthralling experience Vikings Go Berzerk builds on the immensely enjoyable gameplay of its predecessor, Vikings Go Wild. The addition of several new features really adds to the overall experience of the game. The graphics and sound also make for completely immersive gameplay and an endlessly fun way to play slot games. Although the amount of time you need to invest in order to make the Vikings actually go berzerk can be frustrating, that’ll just make you want to see the game through as it’s so rewarding when you finally get there. 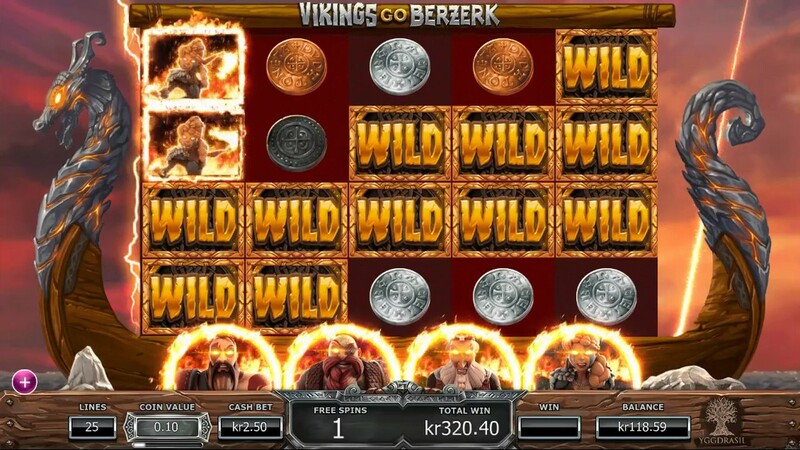 If you liked Vikings Go Berzerk then you might also like to try another Easy Slots game here.